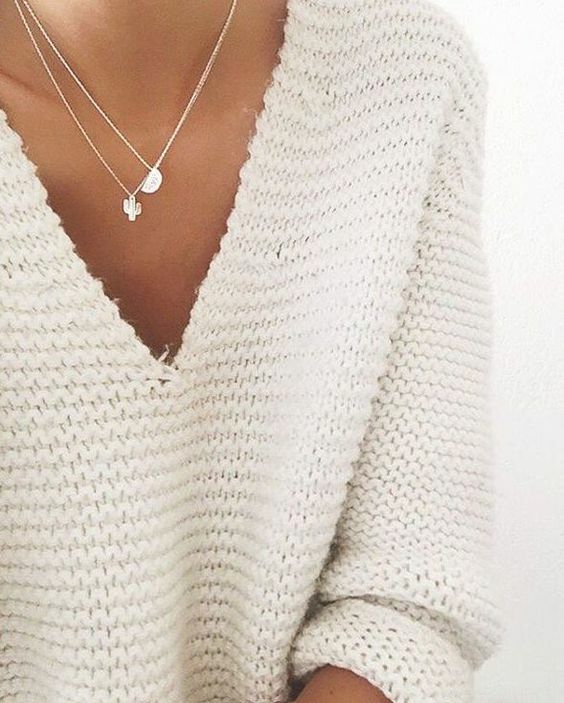 Is there anything more classic than a white knit? I have to admit I’ve spent years avoiding all things white since becoming a mummy, sticky little fingers and chocolatey mouths don’t mix well with white! 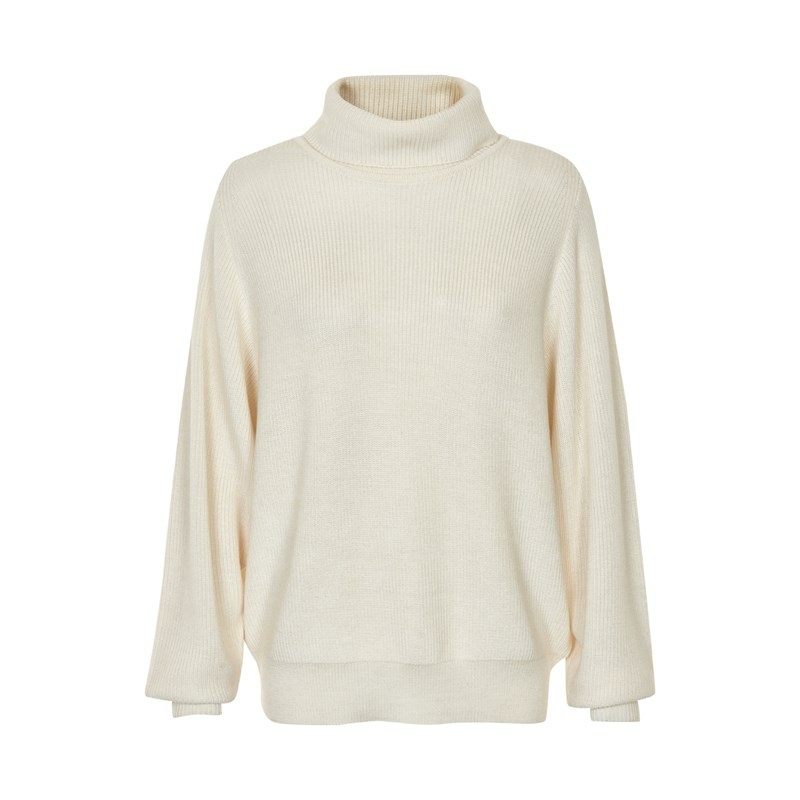 But now we’re past all that and I’m feeling brave enough to pop a gorgeous white knit or two back into my wardrobe! Doesn’t this look as strokable as a kitten! 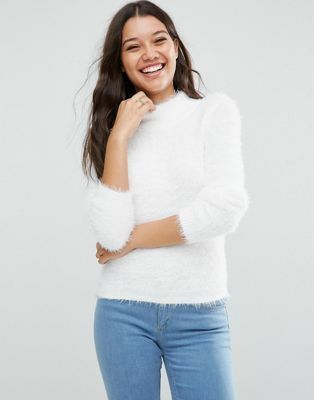 The jumper comes in petite, regular and tall, and even though I’m technically petite, I would order this in tall as I prefer the oversized look. Deep V’s can be a tad scary as they can show a little too much (if you know what I mean) but a beautiful cami under here would save your modesty and add a little sexiness. 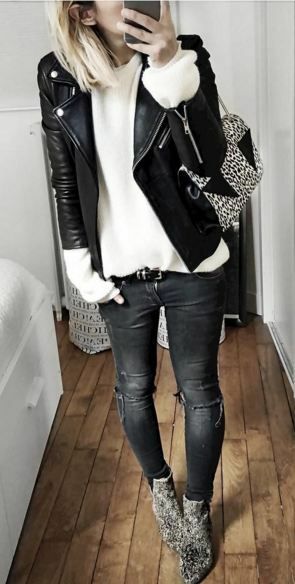 I absolutely love the jumper! Even the name of it is gorgeous! 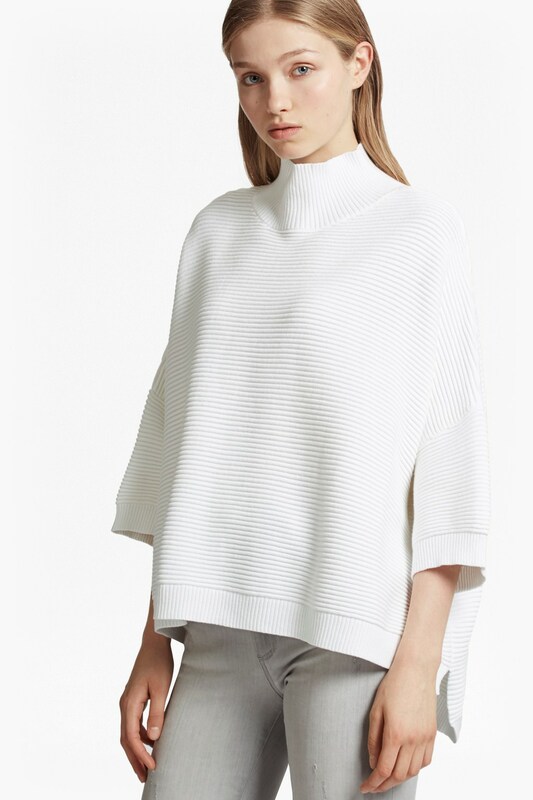 This would be such a brilliant piece for all seasons, layered with a long sleeve Tee in winter and wear it just as it is in the spring/summer months, for me its such a versatile wardrobe piece and I adore the boxy shape. 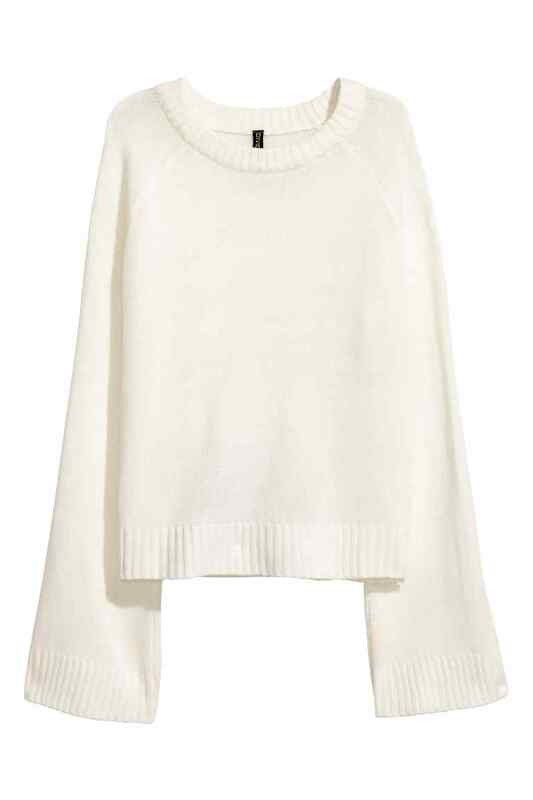 The bell sleeves on this jumper are just lovely and at £12.99 this is a great price. Here’s the one that I bought! 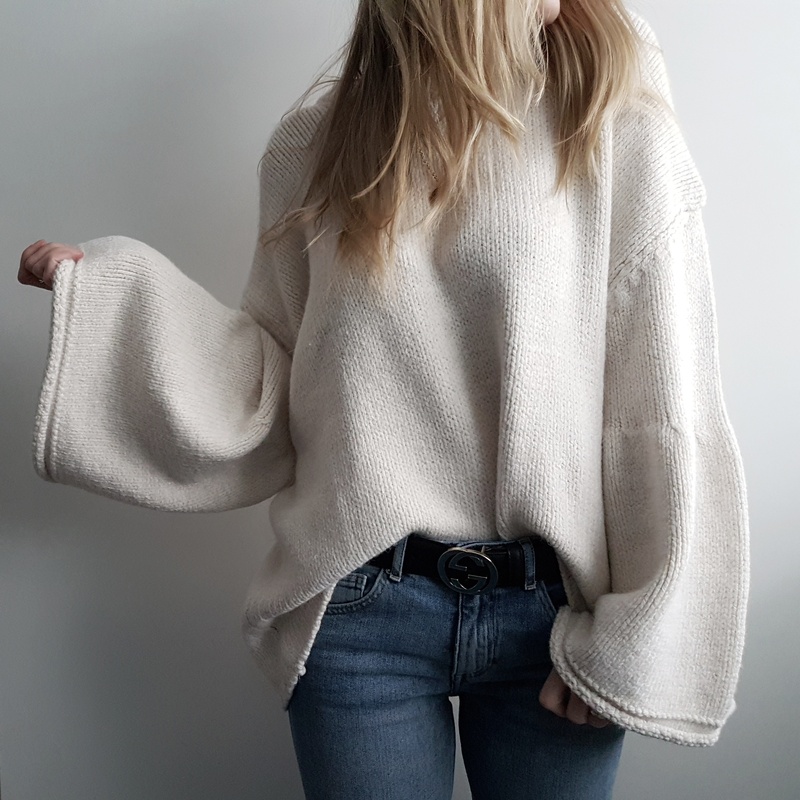 It’s beautifully soft, gorgeously oversized and I know I’m going to love wearing it for a loooooong time! I adore the detailing on the cuff of the sleeve and the length for me is perfect. Its an absolute winner! 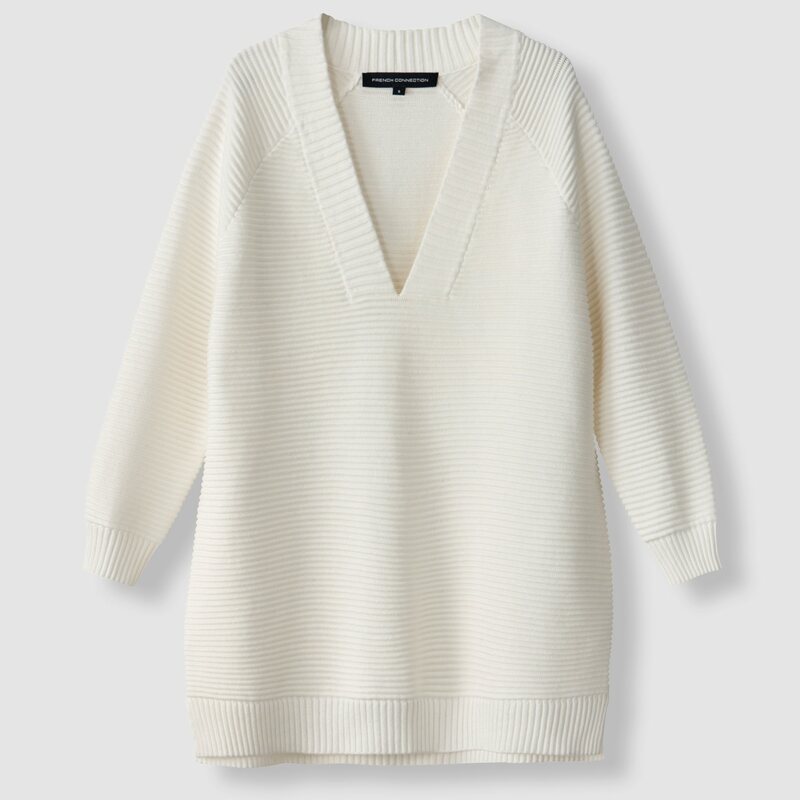 So what do you think, are you a fan of white? I’d love to know your thoughts and as always, thank you so much for reading! Oh my Lordy lord, I love them all!! Time for a little treat I think………. Just bought a very similar one to the FC Mozart in M&S sale! £16.99 from £45. Wow what a bargain!! I’ll have to have a look next time I’m in store!